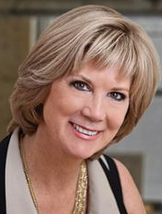 In 2001, Dianne Crosby was introduced to the mortgage industry by her sister. She spent the year in training before becoming licensed in 2002. Crosby has a Bachelor of Arts in Economics from the University of California. She also has a Law Degree from Berkeley Hastings College. She ranked among the top 40 loan officers and brokers in the nation for 2017, according to National Mortgage News.